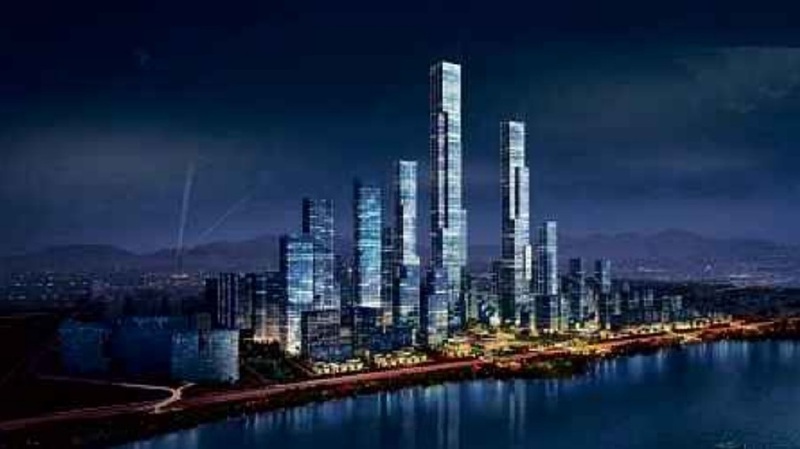 (File pix) An artist’s impression of Shenzhen Bay Super Headquarter Base in China. SHENZEN-based China Vanke Co Ltd (Vanke) has rubbished talk that the group is planning to invest in the Johor property market. Managing director of Vanke Holdings (M) Sdn Bhd, Lang Cong, said currently the priority for Vanke is to get its flagship project in Kuala Lumpur started. The project is the 2.8ha tract (former Serani Row plot) that the group owns at Jalan Raja Chulan, close to the Bukit Nanas heritage zone and forest reserve. Talk of Vanke investing in Johor started in 2014. Back then a Chinese media reported that company officials from Vanke had visited Johor Baru several times to buy 60ha of waterfront land for a township development. The report claimed that Vanke had agreed to spend 7.46 billion yuan (RM4.57 billion) the seafront site in Johor Baru. It is not clear what happened to the plan. Talk surfaced again recently that developers from China, including Vanke, aim to invest in Johor. They are bullish on the Johor property market thanks to several infrastructure developments like the Rapid Transit System, linking Bukit Cagar (Johor) to Woodlands (Singapore), and the Gemas-Johor Baru electric double-tracking rail line, which is expected to be completed in 2021, said people with knowledge of the matter. However, Lang said Vanke is not engaged or involved with the purchase of any development in Johor Baru at this juncture. “Our focus remains on working closely with relevant local authorities and stakeholders to ensure the project (in Kuala Lumpur) is undertaken to complement the current ecosystem,” he said. Vanke bought the Jalan Raja Chulan tract in 2017 and is believed to have paid RM500 million, or RM1,600 per sq ft for the land. The land, owned by City Centre Sdn Bhd, was put up for sale in March 2016 by Deloitte Corporate Solutions Sdn Bhd. It was reported that Vanke planned to build six towers of 60 and 80 storeys, with more than 4,000 serviced apartments anda 13-storey podium on the site. The estimated gross development value is RM5 billion. The project will have residential, retail and commercial elements. But there have been concerns the high-density development may have an impact on the Bukit Nanas heritage zone andforest reserve. Lang said Vanke is working on the project planning to comply with the local authorities’ policies and regulation as well as meeting local market needs. Phase One will see Vanke building retail space and apartments of 500 sq ft (studio) to 800 sq ft (two-bedroom units), targeting city dwellers and expats. The company will work with Dutch architectural company UN Studio and local firm Veritas, adding more iconic buildings in the already picturesque Kuala Lumpur city skyline. In an interview early this year, Lang said Vanke is looking at a long-term commitment and presence in the Malaysian property market and has invested more than RM500 million since it set foot here in June 2017. Meanwhile, market talk has it that China Vanke may undertake a development similar to Bay Park Centre on its land in Kuala Lumpur, but on a much smaller scale. Bay Park Centre is China Vanke’s 30 billion yuan (RM18 billion) mixed-use development and the first debut project of the multi-billion dollar Shenzhen Bay Super Headquarters Base expected to become one of the most concentrated areas for China’s Fortune 500 companies. Spanning across 67,000sq m, Bay Park Centre contains apartments, offices, shopping mall and a luxury hotel, and a total built-up area of 470,000 sq m. They are large-scale high-end complexes in the core coastal areas of the city, which is scheduled for completion in 2021. “Of course, the land in Kuala Lumpur is only 2.8ha, but we can expect China Vanke to maximise the land use and all the buildings to have efficient security surveillance system, tech innovations and smart features just like in China,” said a property consultant. Established in 1984, China Vanke has businesses in London, Moscow, Singapore, Seattle, San Francisco, New York and Kuala Lumpur. The group’s businesses in China include property development, long-term lease apartments, elderly care centres, ski resorts and property management.